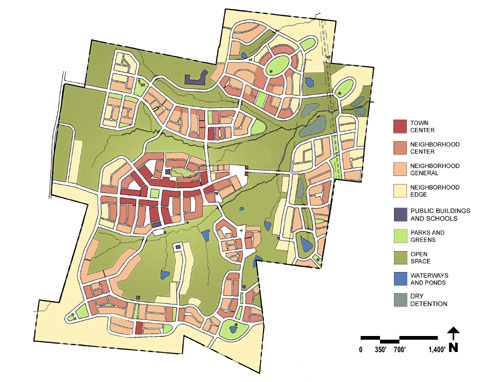 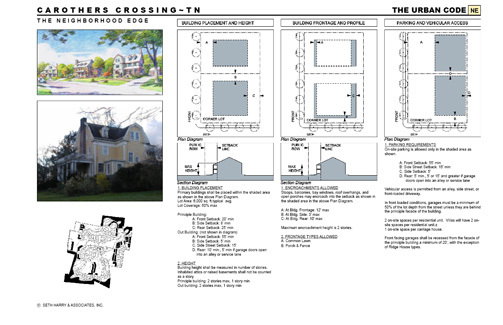 Carothers Crossing is an 800-acre traditional neighborhood development which was designed using a public-charrette process. 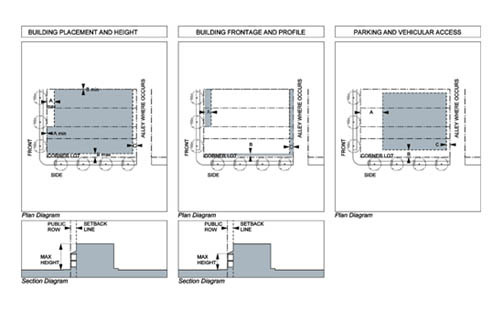 The post-charrette document was the basis for a comprehensive rezoning application, which passed without a single objection from any local resident or nearby property owner, a testament to the community outreach efforts and the effectiveness of the charrette process. 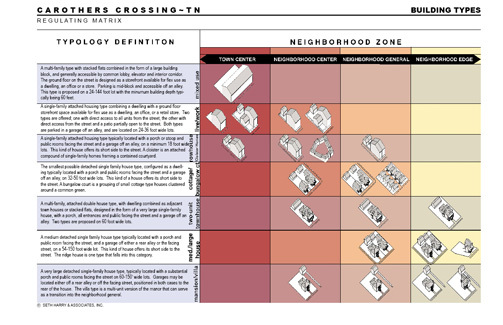 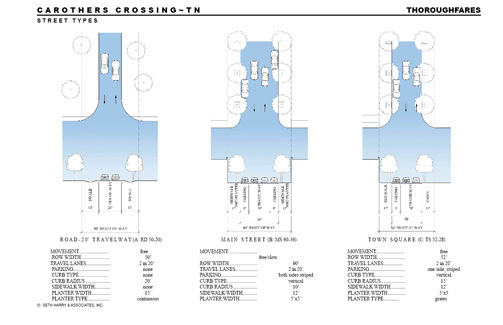 The document includes a form-based code which allows the developers, and residents, of Carothers Crossing to create a built environment that has a range of uses in close proximity to each other in a harmonious, pleasing composition.